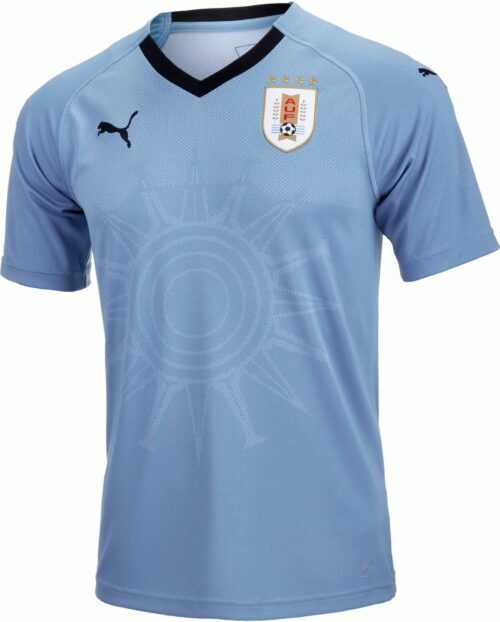 Uruguay Soccer Jerseys & Apparel How has a country as small as Uruguay got 2 World Cup wins? A record 15 Copa America wins? 5 semifinal appearances in World Cups? Well when you boast of a rich history of players like Alvaro Recoba (Inter legend), Jose Nasazzi, Jose Leandro Andrade aka The Black Pearl, Enzo Francescoli (Zidanes idol), Obdulio Varela (maybe the first star central defender in the game) and many more not to mention modern stars like Edinson Cavani and Luis Suarez then it becomes a little clearer. This is a powerhouse if we ever saw one! 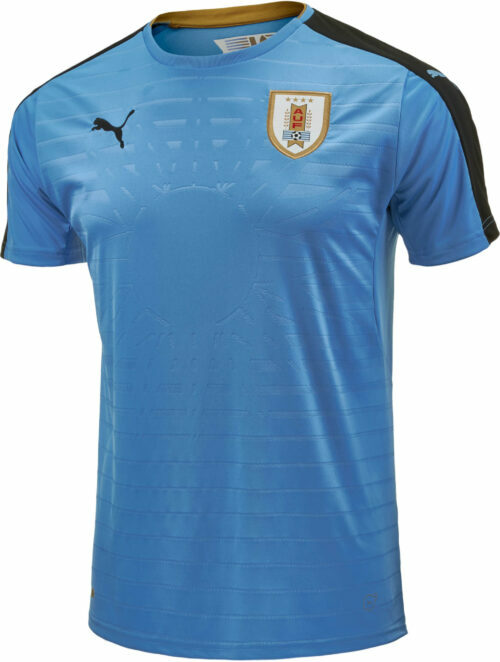 Grab a Uruguay Jersey or even a Luis Suarez Jersey at SoccerPro today!